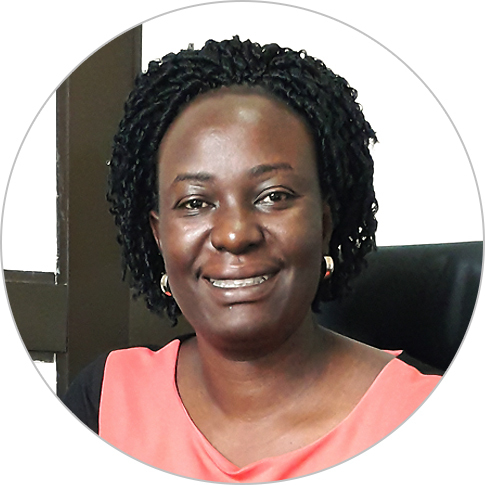 Dr. Grace Namaganda is a human resources for health (HRH) and management specialist with more than 13 years of experience in project management and building the capacities of individuals and institutions in HRH. She has served at senior management level designing and implementing a variety of health programs for several international development organizations funded by PEPFAR, USAID, EU, Doctors with Africa CUAMM, and Cordaid. Dr. Namaganda served as technical advisor to the World Health Organization in the development of the Workload Indicators of Staffing Need (WISN) methodology. She has also supported the ministries of health in Uganda, Rwanda, Swaziland, Namibia, and Malawi in HRH policy and advocacy; HRH strategic planning; integrated human resource information system (iHRIS) customization and use; health worker recruitment and transition; and rolling out performance management initiatives. She holds a doctoral degree in health administration, a master’s degree in health services management, and a bachelor’s degree in dental surgery.